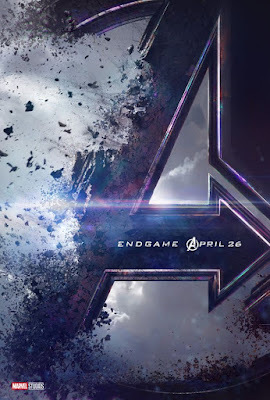 I haven’t updated my blog in months, but seeing as the majority of my previous blog posts were all leading up to the release of Avengers: Infinity War it feels right that I should post on the day Avengers 4 (now officially Avengers: ENDGAME) gets it first trailer and poster released. So we FINALLY got the title confirmed. The trailer itself is very much a teaser, it gives very little away and there’s literally no action or huge special effects shots, and as expected none of the “dusted” heroes feature. It’s a sombre affair with the surviving heroes narrating how they lost and Thanos did exactly what he set out to do, although there’s a glimmer of hope with Scott Lang’s arrival at the very end. Although, somewhat underwhelming compared to the effects heavy Infinity War first trailer, I love it (I’m sure they’ll be some backlash from some fans who expected much more), but I like the fact they’re giving nothing away and it will make the first screening so much more special! I bet most of this footage is from the first 30 minutes of the movie only. Honestly, if I can see the movie without seeing / knowing anything else it’d be very special indeed.